We believe that one of the key trigger which will play an important role to permeate blockchain technology into our society is via entertainment. “Entertainment” is directly linked to our human instincts, and has the power to gather people together. Often in this part of the culture, one’s differences are not criticised, and the important element exist there is not where interests lies or for the sake of convenience, but simply the enjoyment we feel. As blockchain being a technology of not only an extension of convenience but also involving philosophy of trust and consensus, it would require our society itself to change to accept them. Therefore, we’ve been discussing several ways which would allow us to interact with and start to accept the technology more casually since we started our project, and entertainment sector was one industry we decided to put effort in. As we’ve already succeeded in supporting the release of a TV series which were broadcasted in Asia and recorded nearly 1 million viewers, which involved a scene of sending tokens to show gratitude via online media, we are planning to take our activity further to release “Wowoo Entertainment” project. 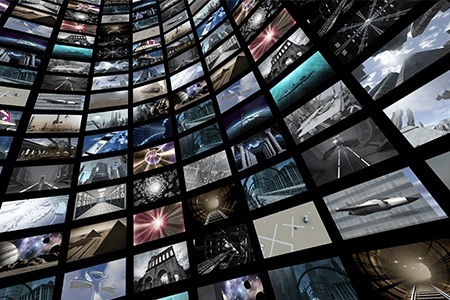 Apart from supporting ICO projects interacting with some major contents of entertainment, such as Food, sports, travels, etc., we are currently planning to set up our own brand project to support the movie/media industry. We are on final adjustment with a major production company representatives to release world-class movie contents. Please look forward to the further announcements on the project. It is our honour to announce that Wowoo Platform and Bitcoin.com are making strategic partnerships to study and contribute further to the blockchain space together. As a first step of our partnership, we are planning to run an airdrop campaign on both sides of the website in the near future. We both believe that it is important to spread the essence of the blockchain technology to wider range of people, mainly towards those who are not yet involved in the industry. The airdrop will be targeting new users who are willing to step in to this field, and in return earn the most valid payment solution, Bitcoin Cash (BCH), and the native token of Wowoo project, Wowbit (WWB), to start their new journey in the coming society. Furthermore, we will be working on the future implementation of Bitcoin Cash (BCH) as a mode of payment to use Wowoo Platform, which the beta version are scheduled to be released this coming summer, and full version next year. We will also consider varieties of collaboration of BCH and coming Wowoo projects. As we as Wowoo aims to welcome inspiring and socially-appreciated projects in the blockchain space to increase more live use cases, we have already made over 10 project contracts, which mostly involves well known entities or services worldwide and are prospected to bring in large number of people in the space. 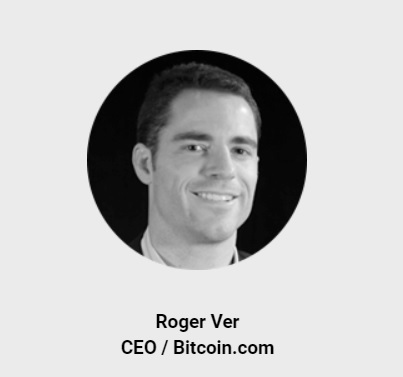 We are confident that BCH and WWB will have a great synergy in not only these coming Wowoo projects, but also the space in general to open up new possibilities to seize a new way of society for the people. 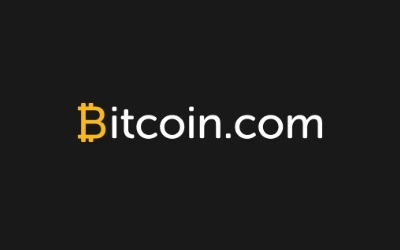 "Bitcoin.com is happy to partner with Wowoo Pte. Ltd., and I believe partnership between bitcoin cash and Wowoo platforms will be a new milestone in the crypto space." Memorable day has come! 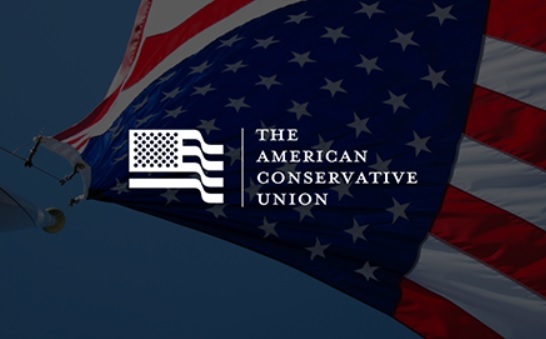 Today, it is our great honour to announce that we will be cooperating with ACU (The American Conservative Union), the greatest supporter of The Republican Party in the United States, based on Wowoo Platform. From this point, we will enhance our relationship with the country of United States of America, and we believe this is the historical event not only for Wowoo but also for the blockchain technology in general. ACU, founded in 1964, is the oldest and influential conservative organization which functions as leader of all conservative organizations with its extraordinary power towards presidential election and pre-election. Moreover, ACUF (American Conservative Union Foundation), a part of the political organization The American Conservative Union operating as think-tank, and ACU-PAC (The American Conservative Union Political Action Committee) are proactively spreading conservative ideas and policies to the society by level of government, congress, state legislature, and through political candidate, lobbying, and social media. Once again, ACU’s policies, which prioritize national defense and one’s liberty, responsibility, plenary power, are spreading its influence towards conservatives within the society. The Asia group of ACU will conduct an ICO focusing liberty based on Wowoo Platform. Cooperating with ACU will bring massive impact to not only United States, where regulations on cryptocurrency are still being concerned, but also for the society. We are certain that this will be the biggest step towards the change of our history and it will spread inspiring value and many more we could never have imagined before to the world. Moreover for WowBit (WWB) holders, airdrop will be performed in the near future. More details on the project and airdrop will be announce accordingly. Please keep track of the updates via Telegram, Twitter (@WowooHQ), and our Website for further details. Today we are excited to announce a very important update for our supporters. As Wowoo project has started from 2017 and have made it this far as a startup, we believe most of you are aware of one of the core technology inside Wowoo Platform Service, which we have indicated inside our Whitepaper as the Smart Active Control (SAC) feature. This technology is aimed to develop a revolutionary system whereas complicated Smart Contracts development can be done easily and by anyone. By using blockchain technology, we believe SAC will enable its users to experience truly fair means to exchange “credits” in our coming new society, by being able to customize Special Resolution system and Covenants control for example. With regards to the SAC system development, we have been looking into possibilities to build it on NEO platform, as we have initially switched over to NEO blockchain for the faster TPS and growth of its community, however, we have concluded that it is impossible to be built on NEO platform at the moment. As we will be needing this feature for supporting government related projects in US and Malaysia for example, we hereby announce that we will be developing our SAC system separately on Ethereum platform which is the only option available at this point, until we release our mainnet blockchain (Scheduled 2019). With this change, we will be issuing a new token on Ethereum blockchain as ERC20 standard token. 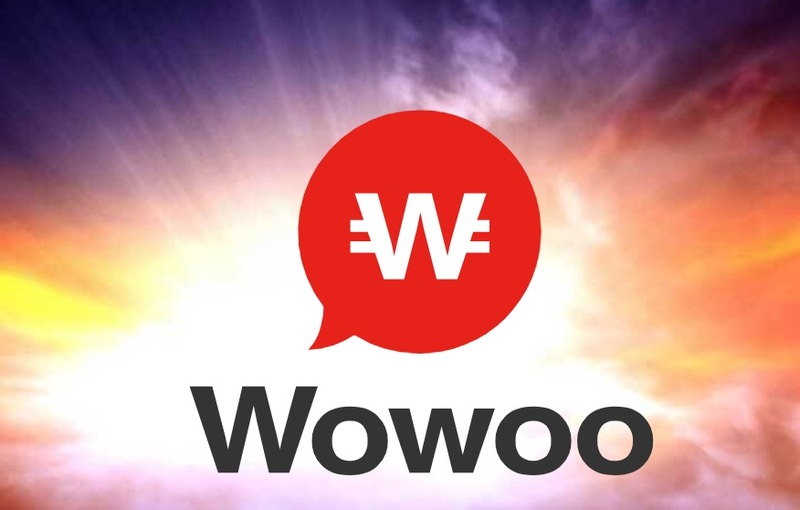 Compared to the current Wowbit token (WWB) which will work rather by the side of our users, in which being able to receive airdrops of our community projects and exchange as a way to express our gratitude, our new token to be issued is expected to circulate mainly as a token which benefits the project owners (token issuers). As recent crypto market condition is critical, the true value of ICO tokens are now being asked. We prioritise our service development which we believe will definitely be appreciated upon the new grand opening of the blockchain era, which are to come soon. We will be providing our newly issued token to the users who have believed and contributed to our project, accordingly to the amount of WWB owned. As the cross-chain technology is not yet developed, we cannot automate this process of airdropping, however, we will be opening a special website for this hopefully within the year, so please look forward to the further updates on this topic. Since our updates of Wowoo Exchange in the mid-August, Wowoo Exchange team has been working on two important factors and continuing this project to meet its goal for success in business and consolidate Wowoo ecosystem. -Construction of robust security system to protect from cyber-attacks. -Secure the liquidity of massive cryptocurrency exchanges. We announce that system design and verification for constructing robust security system has finished. This system includes installation of security detection software, which fulfills government and military security level and consulting agreement with world’s top-class security company. Moreover, Wowoo Exchange is planning to implement world’s top-class AI analytic platform. Although, the details about the security cannot be revealed due to confidentiality. Since the announcement on August, negotiations with world’s major exchanges to ensuring liquidity have been taking place. As a result, an agreement with Tokenized, based in Singapore, to secure liquidity have settled. 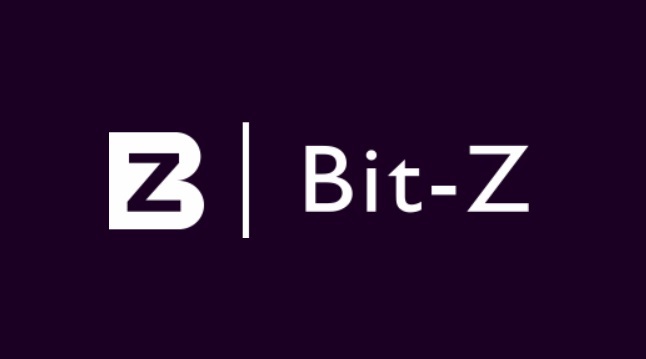 This partnership also includes technological cooperation of constructing robust security system, trades with fiat currency, and access to IEO platform. With these capabilities, we believe Wowoo Exchange will be the key player of global exchange market. Finally, we are pleasure to announce that Wowoo Exchange will start KYC registration in November. Thank you for supporting us. Further information will be updated soon including updates of our website. Please keep track of the updates via Telegram, Twitter, website and blog for further details. 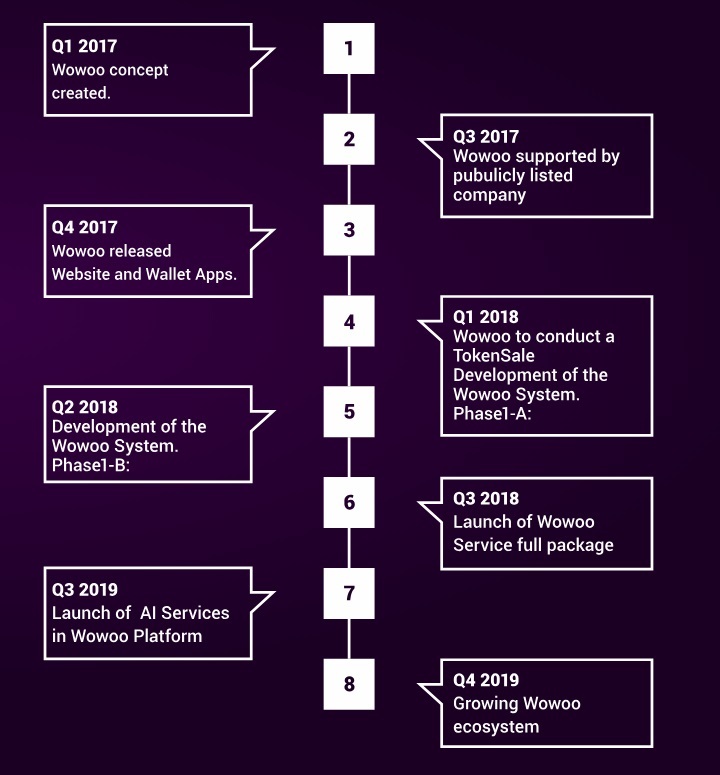 To increase community confidence and transparency, Wowoo team decided to officially announce additional information related to issuing new token, Wowbit Classic (WWBC). As we announced on September 25th, our new token WWBC will be additionally issued in order to expand our community, and moreover it will be granted (airdrop) to WWB holders with some conditions. - We will NOT conduct any pre-sale or crowdsale regarding WWBC. - Due to the nature of WWBC, WWBC should be tradable. However, as it is mainly issued for project owners within our community, and the supply will be strictly managed. - This is NOT an unconditional grant (airdrop) to all WWB holders, however, we will not ask WWB holders for a big burden for joining the program. Wowoo will ask for some actions to someone who wishes to be granted to improve our community. For example, registering our platform or following twitter. - WWB must be deposited into our platform, which we had announced on September 8th. More details will be announced accordingly. Also, NEO and Ethereum cross chain granting (airdrop) technology isn't established yet. Therefore, we must create our platform first to manage users' WWB. The granting (airdrop) is scheduled to be conducted at the end of this year based on our platform development schedule. - There are certain selling restrictions (lock-up) for WWBC obtained from this granting (airdrop). -Mainly circulated token inside Wowoo community as per users will still and always be WWB. The main purpose of issuing WWBC is speeding up the development of SAC, so that the feasibility of our government related projects including US and Malaysia will greatly increase. Thank you for your understandings and supports. We will announce more detailed information soon. FAN betting project, a Wowoo produced project, published its whitepaper and updated its website. FAN betting is the total sports entertainment management platform on blockchain. The core idea of FAN betting is to build interaction system that will provide athletes, clubs, fans, media, advertisers, sponsors and other stakeholders with advanced tools and incentives for deeper involvement and engagement. Fans, in real time, are able to participate, analyze, critique, fantasize, betting and connect with their favorite athletes and clubs while watching the game on TV. It is our honor to announce WWB is available for a payment of FAN betting (FANBTG), although, it was not mentioned on the white paper. The announcement was delayed due to the discussion of exchange ratio and the discount rate for using WWB. Once they are agreed, we will update information as soon as possible. We have been supporting variety of ICO projects including LIFEX and ZEN which is listed on exchange already. Today, we have to inform that Four Nine project, which is open to the public, will not conduct ICO on Wowoo Platfrom. To enhance our eco-system, we have been cooperating with many projects from different perspectives. We accepted Four Nine project’s request of leaving our platform for goal of their utility token differs from Wowoo’s goal. We wish for the Four Nine project to success. The project is still progressing as the website has been updated along with white paper. For further updates, please check Four Nine official website from now on. Last but not least, there are more than 10 Wowoo projects including undisclosed projects so please look forward for the future updates. One of our objectives is to strengthen the relationship with countries around the world to become widely accepted, starting from Asian countries, by attending many conferences, including Japan and China Blockchain Conference. Today, we are excited to announce that WowBit (WWB) is the first NEP-5 standard token to be accepted by ColdLar wallets. ColdLar wallet is one of the best cold wallets in the world developed by Beijing Coldlar Information Technology Co., Ltd. which is specialized in offering professional blockchain digital assets storage solutions with its partners, Huobi, BITMAIN, etc. ColdLar wallets are cold hardware wallet totally separated from internet and will never be connected to the network to prevent hackers. 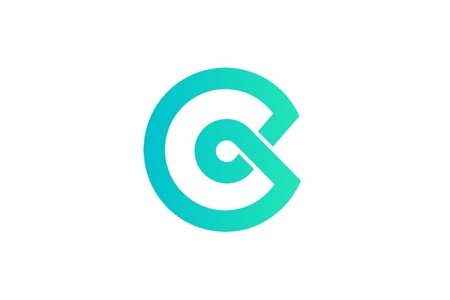 With Coldlar application, available for both iOS and Android, ColdLar wallets will provide perfect securities for managing cryptocurrencies. It is our honour to announce that Wowoo will be sponsoring Jingu Gaien Ichou Festival 2018. Jingu Gaien Ichou Festival is an autumn festival held in Tokyo, Japan. The Jingu Gaien is a memorial facility of the Emperor Meiji, in which was built in wish to provide a field to improve our physical and mental health, and spread great cultures. Being the part of Meiji Shrine, one of the most respected shrines of Japan, nearly 2 million people visits during the time of this festival to enjoy the tinted autumn leaves of the maidenhair tree. As Wowoo being a blockchain community which aims to make use of blockchain technology in different industries, to not only improve general conveniences, but also to preserve, expand and credit great ideas and cultures, we had been significantly lucky to be able to discuss the future of blockchain with the heart of Japanese culture. Some examples of a man’s foundation are cultures and believes. In Japanese Shintoism, many goes to the shrine to spend time to face their inner self, donate and pray. We have been discussing the possibility of utilising blockchain to open a new form of transparent system in these area. As a result, we have confidently decided to sponsor this event, as well as conducting the world’s first social experiment which aims to connect blockchain and unique cultures rooted in our lives. During the event, we will be setting up a special event, where people will be able to make their prayers and donations. Their prayers will be taken of a survey and will be publicly disclosed to visualise what people are actually praying for. The donations are to be made 100% in tokens, in which will be donated to KIZUNA project which supports the reconstruction of the disaster places across Japan. Upon the success of the event, we wish to produce Shintoism compliant blockchain project together with our partners. The token generated would potentially increase the real value of our native token, Wowbit (WWB), as an inbound token. We will aggressively continue to arrange more such inbound demands for our tokens with our future cooperation. Through this event, we wish to seek the possibility of blockchain, and also represent to ordinary people of the potential of this technology which may be casually used in different scenes in the near future. The Smart Active Control (SAC) is one of the core system which we are building in Wowoo, which will enable people to utilising Smart Contracts and messaging on the blockchain, and we see the future that this may become a killer app for many more industries. The festival will be held from the 16th of November to 2nd of December, 2018 in Tokyo. KYC approval process for Wowoo Exchange is starting 25th, this month. Wowoo Exchange is seeking to fulfill world’s top level security and provide healthy operation as global exchange. In the field of cryptocurrency exchange with high anonymity, KYC is believed to take the most important role for preventing unauthorized uses and money laundering. Wowoo Exchange will be using YOTI’s KYC approval system for all account opening of the exchange. 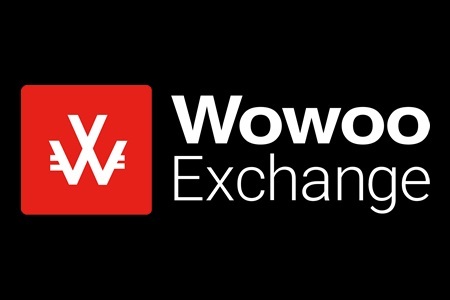 Wowoo Exchange token, WWX, will able to be distributed accordingly to approved accounts. Details of the process will be announced separately. YOTI is digital identity platform which is capable of completing ID and multifactor approval within few second. Earning good reputation from great numbers of companies with its advanced technology, robust security and flexible development capability, YOTI has reached out to Indonesia and United States of America from its base, London. Adopting this system will allow one-stop approval among several exchanges, provide security, and simplify procedures as user benefits. The final destination of Wowoo Exchange will be handling numbers of cryptocurrencies and fiat currencies from over 20 countries. The exchange is preparing to acquire various types of license such as security trading from each country which will make it possible to handle security tokens. Moreover, implementation of STO support system is being planned. Keep an eye on Wowoo Exchange activities. We are announcing phase one LIFEX token offering has ended. LIFEX project is now able to proceed with its project with support from angel investors and pre-sales. Due to the synergy of related members, LIFEX is capable of covering large area. Also, to successfully build new generation medical platform which does not exist yet in the blockchain field, LIFEX were expecting to set the lead time longer. Considering the circumstances of crypto field and since it is difficult to construct the whole concept of which LIFEX plans, decision of closing the procurement as phase one were made, believing that making progress for realizing projects is the most important factor. Therefore, LIFEX is announcing and has begun constructing its own blockchain network. 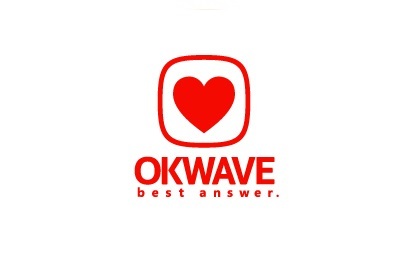 Development will be operated by a team with the core council, Nakamura, CEO of OKEIOS Inc., subsidiary company of OKWAVE. OKEISO’s lifelog information circulation platform, combination of blockchain and decentralized secret storage technology, has high reputation in Japan. Utilizing its knowledge and the brains of various councilors, LIFEX will construct most efficient LIFEX Blockchain Network for handling medical data with authenticity, maintainability and utilization. The data acquired from blockchain and its analysis results can be used not only for development of specific medicines and preventive medicine by discovering common points such as diseases in the large universe, but also for regenerative medicine and personalized medicine. LIFEX will bring solutions for the issues occurred from longer lives, increase in medical expenses, negative effects and other problems within the medical industry by sharing big data, which is obtained from blockchain technology to the world, aiming to enhance the development of new medicine, improve and expansion medical industry. To create better society from different point of view, we will support LIFEX to bring excitement from medical field. Thank you for the support. Wowoo is going to be a sponsor for ASIA FASHION AWARD 2018 in TAIPEI, which is one of the world’s major fashion event today. Wowoo aims to create better society by spreading blockchain technology to the world. As we have announced our view towards Entertainment in June, we believe that the entertainment industry would play a significant role in spreading blockchain technology to all over the world because it has the ability to connect people without any boundaries. Furthermore, speaking of Ichou-festival in Japan, we sponsored and carried out not only the social experiment that connects blockchain and Japanese culture, but also could implement the visualization of excitement beyond cultures and enlarging the circles. The event where will take place in Taiwan is introducing all kinds of fashions, such as clothes, music, art and technology which creates a culture of future to the world. There are numerous numbers of celebrities to be participating, and many trendy participants from worldwide visits to create new trends at this very event. As a new step forward, we are going to facilitate Wowoo Entertainment as our subproject, and will be announcing of some of our future activities in the future. Please look forward to the event as we will be releasing a collaborative project with a famous Japanese manga artist, who have written several numbers of world-famous masterpieces, as the first shot of our Entertainment project. In addition, we wish to support the industry of entertainment by utilising blockchain technology, for example to develop casual ideas into an actual project or develop new method of connectivity between the creators and supporters. Therefore, we will be handing out limited edition Paper Wallet to the participants, which will contain Wowbit Classic token which are to be issued on our community, in the wish that our Smart Active Control (SAC) system will be casually used in the near future. We are excited to announce of our new scheduled Wowoo related project. Due to advancement of internet, large portion of modern commerce has been evolving and shifting its business model to “E-commerce.” It is said that BtoC E-commerce market will exceed $2.6 billion in year 2018. If we are to Include the mainstream CtoC business of recent years, it is predicted that there will be greater growth of the market especially originating from China and United States. Blockchain technology, which was first introduced to the world by the fundamental of Bitcoin, and as it has shown, is very useful for payments. Like Purse.io, which is known widely from accepting Bitcoin Cash which we support, the service of connecting cryptocurrency and e-commerce will be more present in future. The project Wowoo deals with will be not only be simple as current e-commerce business, which products and services circulate from one company to another, but also adopt maximum potential of blockchain technology. The base form will be free-market model. The seller will be able to post wide range of items such as products, services, skills, time, and real-estate. The buyers will be able to use cryptocurrencies as mode of payment, including Wowbit (WWB). Even considering the growth of e-commerce market of the coming few years, the market will be saturated in matter of time. In addition, it might create difficulty over match making of good products and the buyers due to the diversity of platforms. Thus, integrating blockchain technology and cryptocurrency payment is believed to open new market model. As we are currently constructing the business model with our partners, we may be able to offer the Sellers to be able to select and accept various currency pairs and manage them inside a wallet. This could potentially offer substantial multi-currency savings opportunity. Also, there may be a case where in spite of providing good service or products, the Seller may face difficulties due to being categorized by vulnerable groups of the weak of society, according to our existing market principle. 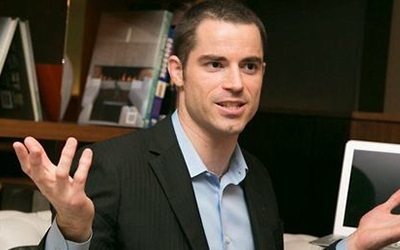 This kind of cases would be able to be resolved by innovation, which is connecting and expanding goodness as blockchain has brought in the society. We aim for creating platform which will also be able to tokenize the products that are sold, with the equipped engine inside the platform which will enable to trade physical commodities and encrypted digital values with service in a set. We are currently reorganizing variety of business models and focusing on legal reviews with partner companies. We aim to release Beta version by around the middle of 2019 and provide the service including function of issuing tokens within 2019. ASIA FASHION AWARD 2018 in TAIPEI, Asia’s largest fashion event with models and artists representing Asia participating, was successfully held on 1stDecember and it attracted a lot of attention from domestic and foreign countries. Also, there were great success in sponsoring activities of Wowoo and Wowoo Exchange during the event, and we are going to announce our activity report with Wowoo Entertainment’s approach. It was a great success, recorded over 5 million viewers through live TV broadcast and livestreaming, and 1500 participants with tickets difficult to obtain. In this event, there were many celebrities gathered from several entertainment sectors and widely reported by more than 800 medias from Taiwan and overseas. The event became a leading figure that would enlighten the entertainment industry through fashion, music, and food. As Wowoo, we not only set up our booth, but also introduced about Wowoo Entertainment on the stage. 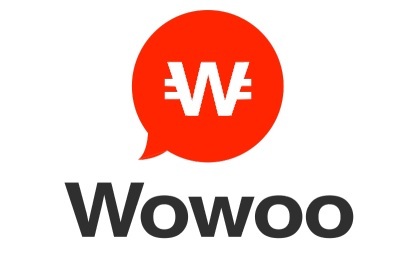 Wowoo Entertainment is a sub-brand launched by Wowoo, which aims for the new extensibility by combining existing entertainment culture and blockchain technology. In particular, examples are sponsorship of various contents, support in logistics & sales, and intellectual asset management. Today, entertainment has been facing difficulty to be recognized even it is fascinating due to the diversification in media or content. We consider there is a possibility to support unrecognized entertainments and to protect contents from illegal transactions by utilizing blockchain technology. Therefore, blockchain technology is able to support in several ways. Making blockchain technology more familiar will trigger people’s inspirations beyond entertainment in future. Starting from supporting “Sengoku no Arcadia”, the compilation of project celebrating 80th anniversary of Japanese greatest cartoonist Reiji Matsumoto, we are going to get involved with entertainment industry. As we previously announced, Wowoo Entertainment has affinity with blockchain commerce project. Thus, we are going to put more effort in spreading blockchain as it becomes a common technology in our society next year so please look forward to it.